One platinum ring. 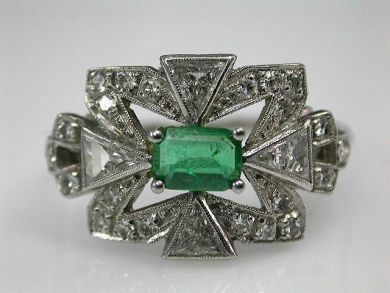 One emerald (0.21 carats). Four trilliant cut diamonds (0.42 carats: VS clarity: G-H colour). Twenty-two single cut diamonds (0.18 carats: VS-SI clarity: H-I colour).